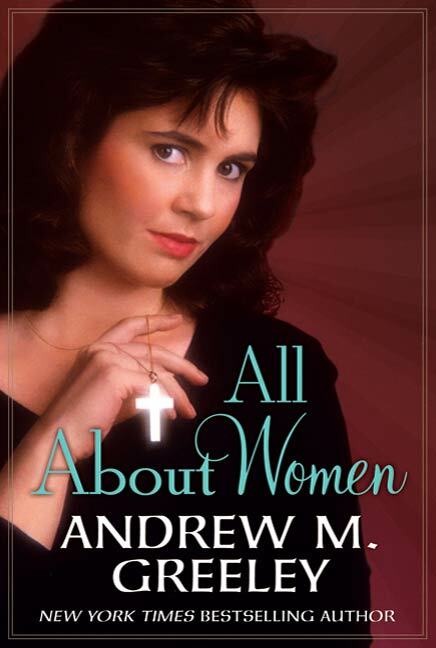 You're in for an unforgettable experience when America's master storyteller turns his enormous narrative gifts to the passionate, haunting subject of the American woman, searching for--and often finding--love and faith... in Andrew M. Greeley's All About Women. There's teenaged Rosemarie, coming to grips with the evil of the twentieth century--or is it the evil in the human heart? Peggy, whose widowhood plunges her into the cold of loneliness. Rita, whose marriage is rich and fulfilling--except at its core. Laura, torn between three lovers, one of them a seminarian. Julie, haunted by something that happened long ago. Sionna Marie, an imp diving passionately into adulthood. And Patricia, caught in a web she may not have the power to break. Priest, sociologist, author, and journalist, Father Andrew M. Greeley (1928-2013) was the author of over 50 bestselling novels and more than 100 works of nonfiction. His novels include the Bishop Blackie Ryan series, including The Archbishop in Andalusia; the Nuala Anne McGrail series, including Irish Tweed; the O’Malley Family Saga, including A Midwinter’s Tale; and standalones such as Home for Christmas and The Cardinal Sins. A leading spokesperson for generations of Catholics, Father Greeley unflinchingly urged his beloved Church to become more responsive to believers’ evolving concerns. He chronicled his service to the Church in two autobiographies, Confessions of a Parish Priest and Furthermore!